PITTSBURGH — JoMar Davis is a student at Hill House Passport Academy Charter School in Pittsburgh. Davis has been a part of the Penn State Community Innovation Training for Youth (CITY) program from its inception two years ago. Through CITY, Davis was able to get a head start on his career ambitions by securing an internship with Marita Garrett, the mayor of Wilkinsburg — a borough of Allegheny County — near Pittsburgh. He said he plans to major in political science at a local university and hopes to use his experience to inspire others. Etienne Gaston is a student at Northside Urban Pathways Charter School. Gaston said he hopes to attend Penn State to major in athletic training, with aspirations to become a team doctor. 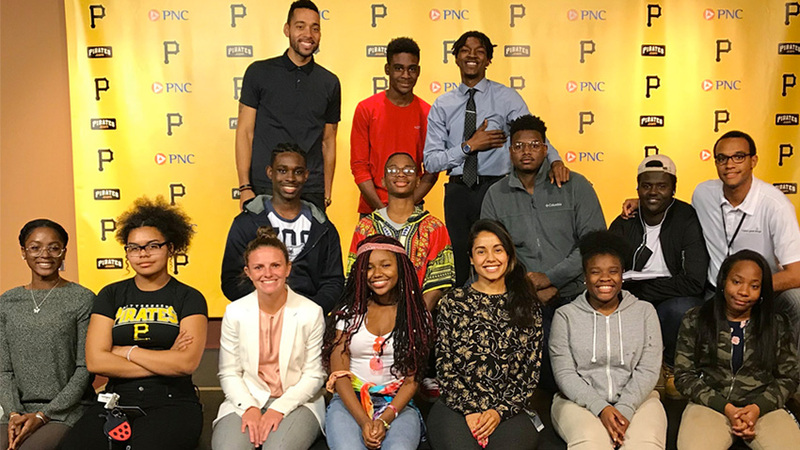 The mission of the CITY program at the Penn State Center Pittsburgh is to encourage pathways to success for high school students in the Pittsburgh area by providing opportunities outside of the classroom. The CITY program connects participants with personal and professional mentors as a way to introduce career possibilities in science, technology, engineering and the arts; encourage community involvement; and develop teamwork skills. Naomi Ritter, CITY program manager, oversees CITY students, curriculum and outreach to community and university stakeholders. Ritter said she has seen first-hand how students work collaboratively to reach solutions and support each other. Ritter works closely with Teireik Williams, CITY program assistant, to pair each student with two mentors from the Pittsburgh area. The mentors provide support and direction about career paths, future goals, leadership opportunities and problem solving. Andre Samuel is director of The Citizen Science Lab at the Energy Innovation Center and a mentor for the CITY Program. To learn more about the Penn State CITY program or to become a mentor, contact the Penn State Center Pittsburgh.